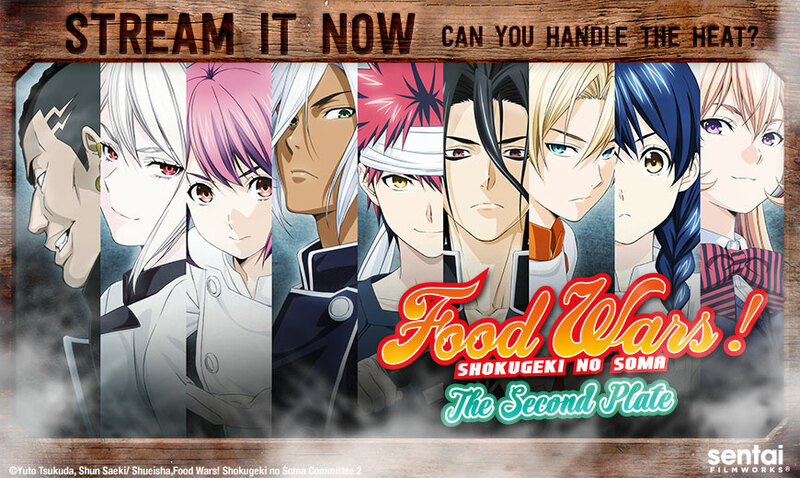 Food Wars! The Second Plate: Welcome Back, Soma! It’s been a long, long… really loooooong year, but Soma, Megumi, and the rest of the finalists for the Fall Election are back to settle the score and carve their way to the top of the ranks at Tohtsuki Academy. We are positive that the knives will flurry, exotic ingredients (and clothes) will fly, and we’ll stare at our screens in wonder, drooling over culinary masterpieces that we can only hope to experience one day. Stay tuned for links and showtimes! Needless to say, these have been some of our reactions as we waited in anticipation for this show to re-start. The journey is only beginning!